The Korean Microboard M340CLZ 34-inch curved monitor offers an amazing gaming ultra-wide experience for a quite reasonable price. 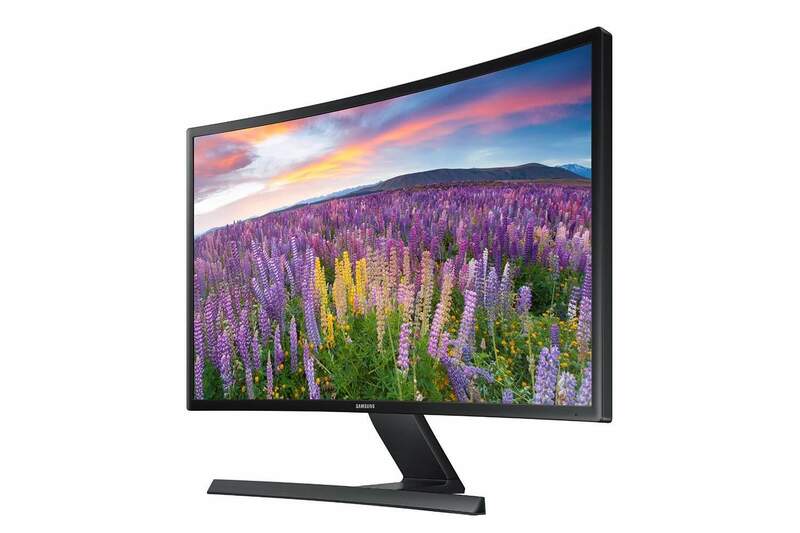 It features the Samsung VA panel which delivers astonishing contrast depths and impeccable viewing angles. By paying much less than you would for a more popular brand monitor with the same or similar specifications, you can still experience the stunningly immersive gaming and multimedia world. The Samsung Vertical Alignment (VA) panel of this gorgeous monitor delivers the amazing depth of the contrast level amounting to 3,000:1 static which results in dark blacks and vibrant colors. The VA panels are capable of achieving the same viewing angles of 178 degrees both vertical and horizontal as the IPS panels. However, the colors themselves aren’t as accurate which makes this monitor not well suited for color-critical work of professional designers and alike. Still, in video games and other multimedia activities, the colors appear more than pleasing and provide a brilliant image quality. Another drawback of the VA panels is the response time speed. The Microboard M340CLZ gaming monitor has a response time of 8ms gray to gray which can be further improved in the OSD settings by enabling the Overdrive mode which increases the speed up to 4ms. Professional high-end gamers will be repulsed by the blurring of fast-moving objects in their competitive FPS games as this panel isn’t capable of delivering state-of-the-art response time of 1ms as TN panels. In fact, the slow response time is the biggest flaw of the Microboard M340CLZ monitor. The ghosting is much more visible than it is on the other more popular 34-inch ultra-wide gaming monitors, such as the Acer X34 and the ASUS PG348Q, which are also much more expensive for that matter. The amount of ghosting will make the professional FPS gamers lose the edge over their opponents while most of the average players will be able to neglect it, due to its affordable price, after all. The 100Hz rate ensures slick and smooth gameplay in all video games. Furthermore, if your computer is powered by a compatible AMD graphics card, you’ll be able to make use of the FreeSync technology feature which synchronizes the refresh rate between the Microboard M340CLZ display and your GPU. With the FreeSync range amounting to 42Hz – 100Hz, you’ll be able to maintain a steady FPS rate without any issues. In addition, if your computer isn’t powerful enough to completely fuel the 3440×1080 resolution, you can lower the resolution to 2560×1080 and gain the 144Hz rate. The R1800 curvature of the Microboard M340CLZ gaming display provides you with the top-notch immersive experience as you won’t have to move your eyes as much yet always be aware of what’s happening on the screen. This is a great advantage in FPS games as you’ll be able to notice enemies that are lurking in the corners of your screen whom you wouldn’t usually notice if it weren’t for the curved screen. Moreover, you’ll have a much wider view of the sky allowing you to shoot down the enemies’ aircrafts more easily or hide away from the death from the above. The OSD menu of the Microboard M340CLZ display is in Korean by default. So, in order to change it to English, you should press the far left OSD button twice, scroll all the way down, press Menu button, and change it to English. Now, even though the OSD menu makes much more sense, the same cannot be said about the navigation through it. Nevertheless, we managed to get a grip of it enough to enable the FreeSync feature and the Overdrive option which decreased the response time to 4ms. Other settings in the OSD menu include the standard adjustments of brightness and contrast, input source selection, color settings, picture quality settings, display, and audio settings for the built-in speakers which provide a decent sound quality. The multi-window section of the OSD menu includes the Picture in Picture and Picture by Picture modes. 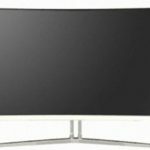 Even though the ultra-thin bezel makes this monitor ideal for the multi-display, the characteristics of its panel could cause some color uniformity issues. The color settings include the full sRGB and limited sRGB modes which provide calibrated settings, however, the colors aren’t precise enough for professional work but some basic content creation can be done, of course. 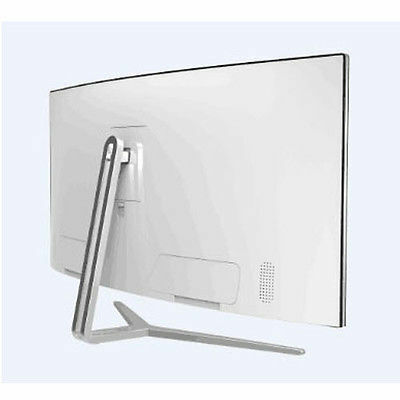 The design of the Microboard M340CLZ VA monitor includes a rather futuristic appearance with a nice white color with chromatic accents and glossy texture. The metallic stand provides a steady base, although it lacks some ergonomic functionalities as only the screen of the monitor can be tilted. The ultra-thin bezel makes the curved ultra-wide experience even more immersive as the picture simply pops out to captivate its viewers. The monitor is VESA mount compatible with 75mm x 75mm pattern, but in our case, the holes seemed a bit skewed and required further modifications. The screen of the monitor is coated by a light matte anti-glare protection which effectively eliminates the sunlight reflection but doesn’t add too much grain to the image. As far as the connectivity goes, the Microboard M340CLZ monitor includes a DVI, an HDMI 2.0, and a DisplayPort 1.2 which supports the FreeSync technology. The standard power outlet features the Korea C plug/Free Volt but you will get the fitting converter power cable along with the monitor. The Microboard M340CLZ price is actually the greatest thing about it. 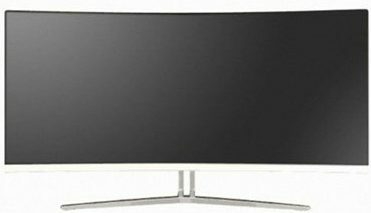 At the moment (May 2017), it’s available for only $700 which is the most affordable price for a 34-inch ultra-wide display with 100Hz, 1440p resolution, and FreeSync technology. The Microboard M340CLZ gaming monitor offers an amazing ultra-wide experience for an affordable price. Although its VA panel delivers less accurate colors and causes evident ghosting of the fast moving objects in comparison to the IPS panels of the other 34-inch gaming monitors, it makes the dream of the immersive huge-sized curved gaming into reality for a reasonable price. So, if you’re looking for an ultra-wide 34-inch monitor with 100Hz refresh rate, FreeSync, and a high-contrast image quality, the Microboard M340CLZ is the most affordable display that will allow you to tick all those boxes. The amount of visible ghosting is certainly a drawback, but somewhat acceptable due to the price. 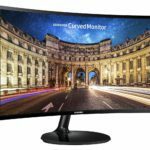 If you’re looking for another monitor that will provide you with all the same specifications such as the resolution, refresh rate, and screen size but have considerably less ghosting, you’ll have to invest another $500. Until you’re ready for that, the Microboard M340CLZ is an excellent and affordable alternative. The Microboard M340CLZ takes us a step closer towards the affordable 34-inch ultra-wide curved displays. For a reasonable price, you can enjoy this huge and beauteous screen and its 100Hz rate and the FreeSync feature.